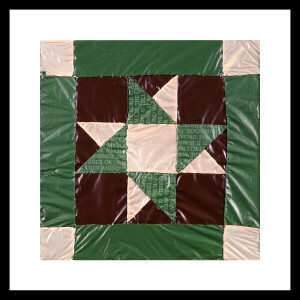 Medium: Machine-Stitched recycled plastic bags. 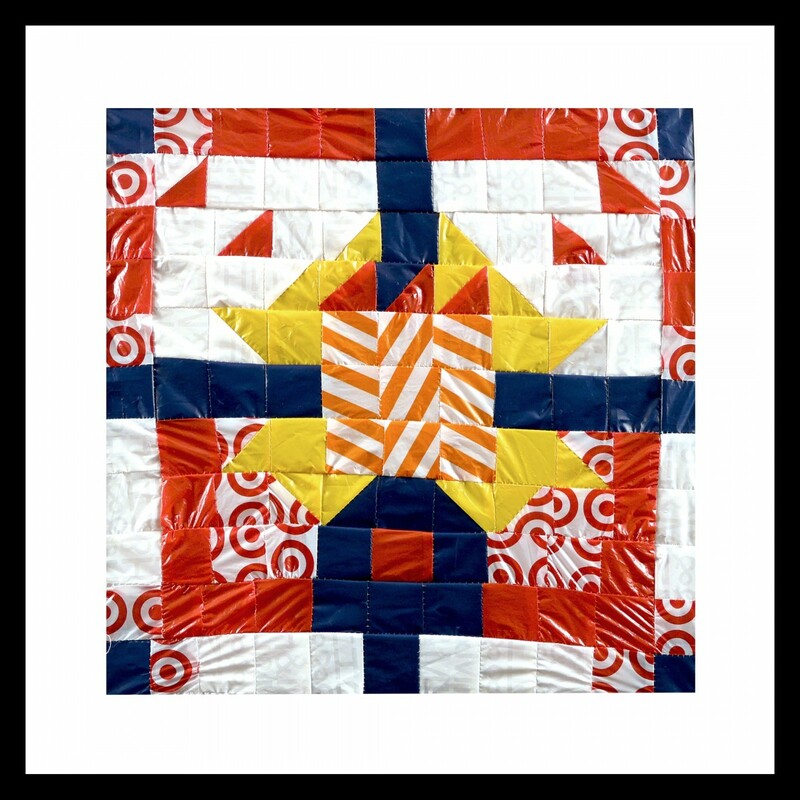 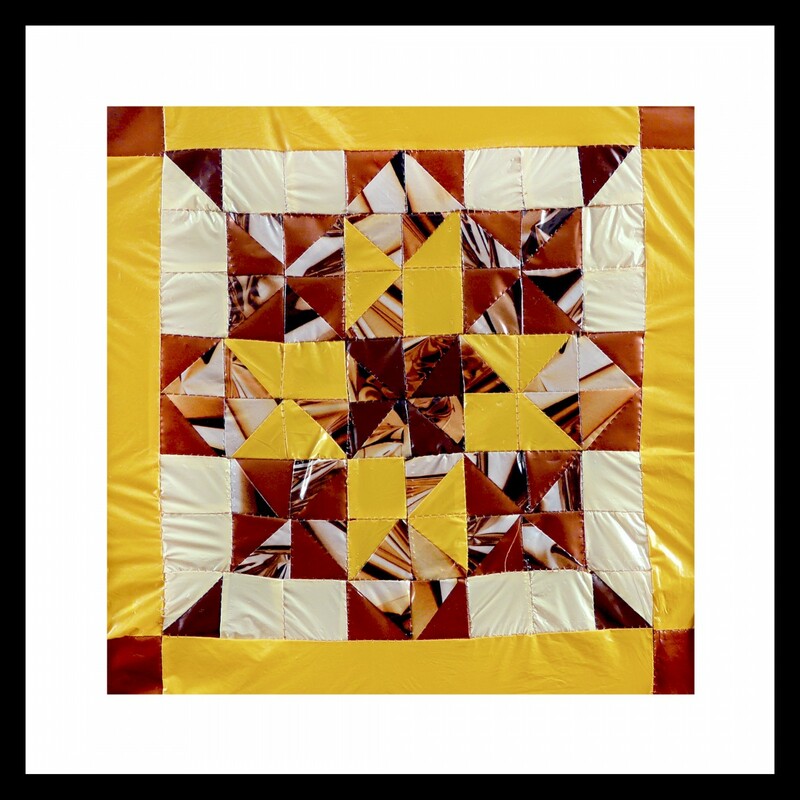 Size: Range in size from 10" x 10" to 23" x 23"
Consumption Quilts is an attempt to recapture what has become mundane. 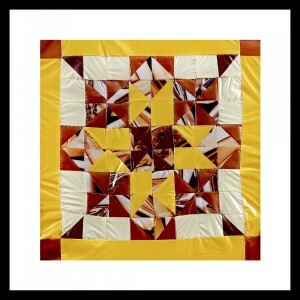 This series is inspired by depression era feedsack quilts. 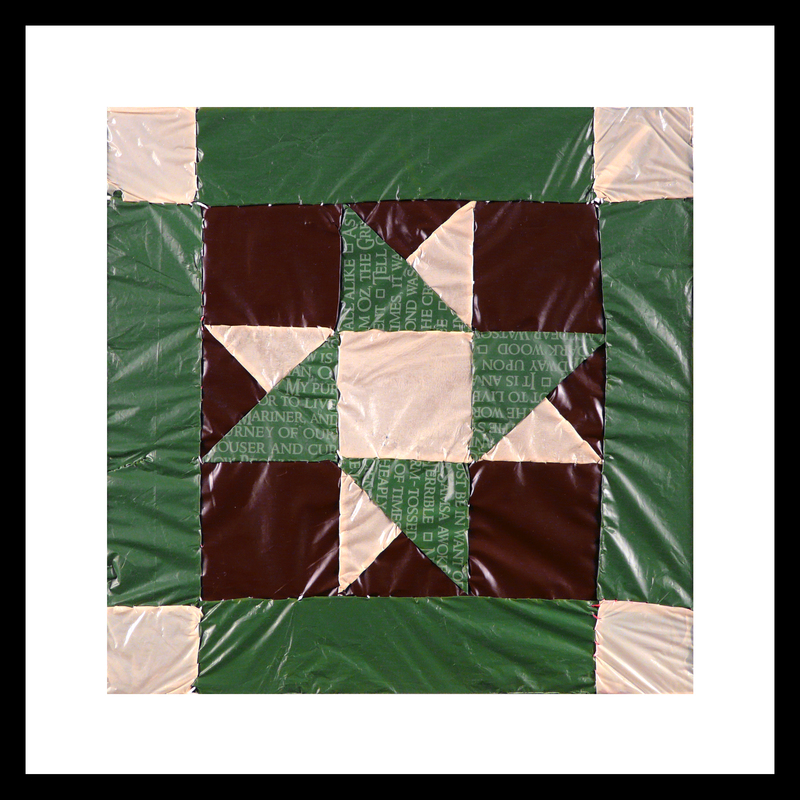 During that period foodstuffs come in cloth with intricate patterns and thrifty women made beautiful and useful quilts and clothing out of the sacks. Since the 1960s more and more packaging is made out of plastic and covered with advertising. 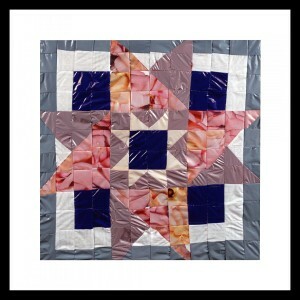 This project is an exploration in expanding the life of plastic bags and their surface patterns.